Ryanair, Europe’s No. 1 airline, today (13 Mar) launched its international charity partnerships for 2019, supporting ISPCC Childline as its Irish chosen charity partner, and Pequeño Deseo as its European chosen charity partner. 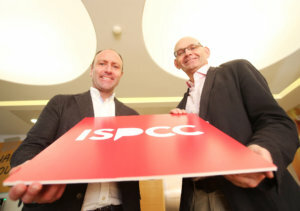 ISPCC Childine, Chosen Irish Charity Partner – Ryanair is partnering with ISPCC Childline for a fourth consecutive year, having already donated more than €350,000 to date. Over 90% of ISPCC Childline funding is raised through corporate and individual donations, and this partnership will allow Ryanair customers to again support this worthy cause through a number of fundraising initiatives over the next year. 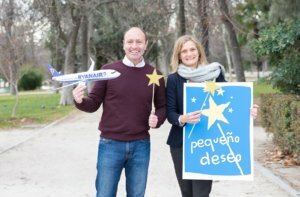 Pequeño Deseo, Chosen European Charity Partner – Ryanair has selected Pequeño Deseo (meaning ‘Little Wishes’) as its 2019 chosen European charity partner. A Spanish non-profit organisation, it supports sick children by making their wishes come true. 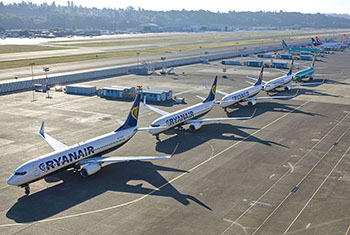 Through this new partnership, Ryanair and its customers will support key fundraising and awareness initiatives throughout the year across Spain. “We are excited to launch our 2019 charity partnerships, working with ISPCC Childline for a fourth successive year, and announcing Pequeño Deseo as our new chosen European charity partner. Customers will be able to support these projects both online and offline through a number of fantastic initiatives and campaigns throughout the year. “In Pequeño Deseo, we work so that all children with serious illnesses can see their greatest wish fulfilled, and feel happier and stronger in order to face their treatments with more energy. Fulfilling a wish generates many positive emotions that directly affect the well-being and physical improvement of the children we work with.